The ADL portfolio management approach uses the dimensions of environmental assessment and business strength assessment. The environmental measure is an identification of the industry’s life cycle. 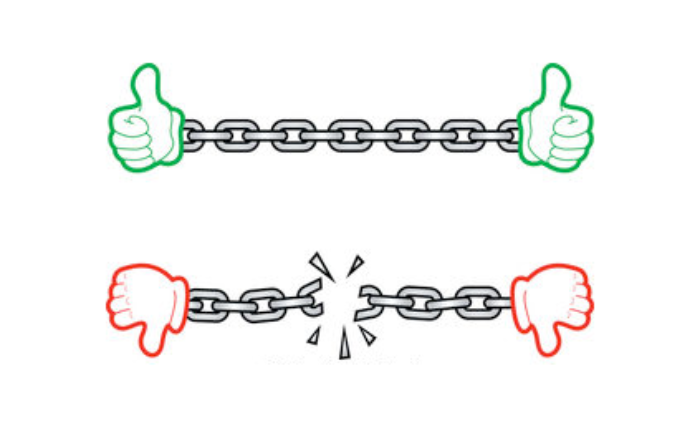 The business strengths measure is a categorization of the corporation’s SBU’s into one of five (6) competitive positions: dominant, strong, favorable, tenable, weak (and non-viable). 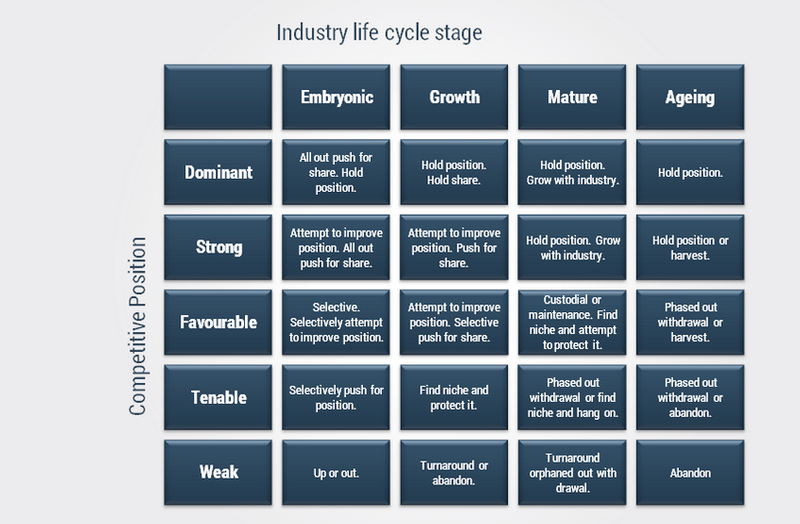 This yields a 5 (competitive positions) by 4 (life cycle stages) matrix. Positioning in the matrix identifies a general strategy. Dominant: Rare. Often results from a near monopoly or protected leadership. Strong: A strong business can usually follow a strategy without too much consideration of moves from rivals. Favorable: Industry is fragmented. No clear leader among stronger rivals. Tenable: Business has a niche, either geographical or defined by the product. Weak: Business is too small to be profitable or survive over the long term. Critical weaknesses. | How to manage a product portfolio using dimensions of environment and business strengths ?